As the proprietor of Building Sense Limited, I’m extremely pleased to welcome you to the site. I’ve been involved in far too many things to mention over the years, but the following should give you a good flavour of my experience, and how Building Sense can assist you and your clients. 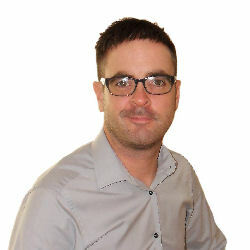 You can find out more information about me and the services offered by Building Sense on this website, and also by connecting with me via the social media links at the top of the page. Of course the old fashioned way, over the phone or a one to one meeting is just as welcome! Don’t hesitate to get in touch if you think there is mutual business benefit. Mark Newman is a highly experienced commercial Chartered Building Surveyor with over 12 years PQE, and a passion for buildings and property since the age of 15 – during GCSE work experience. The core focus is on service delivery, helpfulness, client satisfaction and retention. Specialist in commercial and residential project and refurbishment management and pre-acquisition surveys. Also highly accomplished at: dilapidations, PPM schedules, schedules of condition, feasibility reports, employers agent roles, insurance Reinstatement Cost Assessments (RCA’s) and complex property insurance matters. Considered by friends, colleagues and clients as hard working and trustworthy; well respected for honesty, integrity and level headedness. Active interests in mountain biking, landscape photography, IT and new technologies are pursued. Various sub division projects, the create smaller more marketable demises, from offices to retail warehouses. Phased resurfacing of busy retail park car park whilst it remained open. Many re-roofing projects, from overcladding asbestos sheet roofs, to built up felt coverings, slating and tiling, asphalt, large lead dressed roofs and inverted roofs. Due diligence on a landmark office development including building surveys with dilapidations assessments and client specific bespoke reporting formats for various national retailers. Value £22.5m. Acquisition surveys of modern detached office buildings for fund clients/asset managers. Listed buildings in commercial use in town centre and rural locations. City centre and out of town retail developments. Industrial facilities, both modern and old. Client side monitoring and supervision of a new build community sports facility: value £2.5m.